From Kobe Bryant to Beyoncé to Kermit the Frog, pettiness has pervaded meme culture of the past year. If you judge by memes, the last year has been an extremely petty one. Last February gave us Petty Beyoncé, staring pointedly into the camera, utterly pleased with herself. In April, there was the Petty Skai Jackson meme, in which the Disney star sits smirking in her dressing room, looking like she's just thought up a master plan for revenge. In the last few weeks of Obama's presidency, social media was aflutter with Petty Joe Biden memes, in which the former vice president is pictured whispering to Obama about things like setting booby traps in the White House or changing Donald Trump's passwords. Just as everyone was "throwing shade" or having eyebrows that were "on fleek" before, social media users are presently relishing in the black humor, and power, in making something out of nothing in order to prove a point. The Middle English word petty comes from the Old French word for small, petit, and initially meant "small in size." The definition of the more modern sense of the word—"of small importance"—appeared in the 16th century, though the word was mostly used in its first definition in conjunction with other words (like "petty cash," for instance, or "petty officer," for a noncommissioned officer), until around the 1800s. For a while, to common folk, it really just translated to "small." According to Merriam-Webster, in 2017 the word petty means "having secondary rank or importance," "having little or no importance or significance," or being "marked by or reflective of narrow interests and sympathies." Go to Urban Dictionary, though, and you'll find a more colloquial definition, the one you'll probably recognize from present-day meme-speak: "when someone takes a small subject and blows it out of proportion." 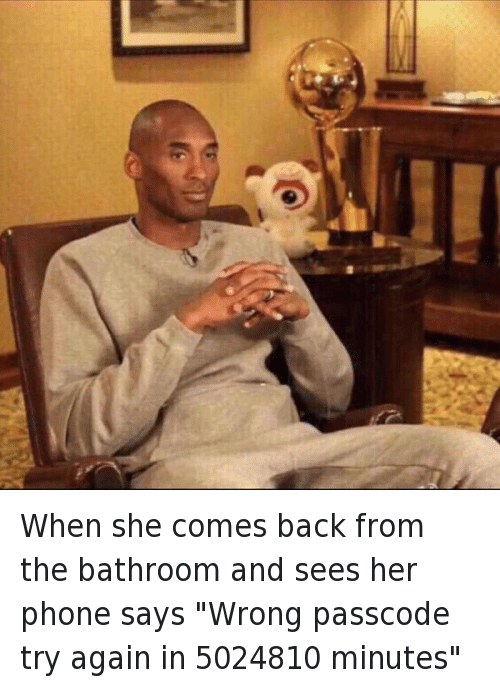 According to Knowyourmeme.com, one of the first petty memes was Petty Kobe Bryant, an image that circulated in February of last year. The photos features the serene basketball player sitting in a comfortable chair in front of his NBA championship trophy, apparently content, his hands clasped in front of him; the photo could be read as a smug response to criticisms that Bryant was petty on the court, but it was quickly reappropriated to represent romantic tiffs, jealousy, and parent-child dynamics. Last year also saw a slew of anti-petty memes, like the impossibly successful "But that's none of my business" meme, in which Kermit the Frog sips tea instead of butting into conflict, and "Evil Kermit," in which Kermit battles his cloaked, petty id while trying to do the right thing. Like much viral content of recent years, this meme subgenre developed in Black Twitter circles before being co-opted by the rest of the internet. According to Google Trends, the countries with the most Google searches for petty in 2016 were the US, Jamaica, Canada, Ghana, and Kenya. With the proliferation of petty memes, petty has transitioned from simple adjective to something more. "[Right now], petty is the word that's out there," says Anne H. Charity Hudley, associate professor of linguistics and Africana studies at the College of William and Mary. "[Now], it's kind of a noun—it's something you do. In [the way that it's being used currently in] Black culture, it's a state of being. You're not being petty, you are petty." Charity Hudley describes the state of "being petty" as a form of Black resistance, likening it to "throwing shade," "reading someone," even singing the blues. "[Petty comes] from a long history of Black verbal arts and culture in which things have a double meaning. It's a way of doing or saying something that, because it isn't an outward response, is less likely to [elicit a reaction that is] dangerous or deadly." To better understand the pettiness of today, Charity Hudley suggests looking to Beyoncé (and the Beyoncé petty meme) as an example. When Beyoncé surprise-released "Formation," a song that pays homage to the #BlackLivesMatter movement and her Southern Black heritage and conveys a strong political message throughout—though the image of her atop a sinking police car in a flooded New Orleans was particularly galvanizing. Twenty-four hours later, she performed the song at the Super Bowl 50 halftime show, where she and her dancers dressed in outfits that recalled the uniforms of the Black Panthers. The Super Bowl discourages political statements during halftime shows, but Beyoncé did it anyway, and the performance caused an uproar among conservatives. TV host Tomi Lahren accused Beyoncé of "ramrodding an aggressive agenda down our throats." The Milwaukee County Sheriff David A. Clarke criticized Beyoncé's decision to pay homage to what he called a "subversive hate group." Rudy Giuliani called the performance "cop killer entertainment," and the Miami Fraternal Order of the Police called for a boycott of her world tour. Shortly after the polarizing performance, Beyoncé appeared, dewy and glowing in that sweatsuit on the porch, knowing full well what she had just pulled off (and perhaps relishing what she still had up her sleeve—the visual album Lemonade would be released two months later). She became a powerful symbol for pettiness because she emerged triumphant. She "twirled on all her haters" and, for better or for worse, profited off the controversy: When that halftime performance cut to commercials, the first one was an ad announcing her Formation World Tour. [Petty comes] from a long history of Black verbal arts and culture in which things have a double meaning. As memes and language spread, definitions become naturally distorted. Take the word woke: As Amanda Hess wrote in "Earning the 'Woke' Badge" in the New York Times Magazine, after Black activists "used 'stay woke' in their Twitter campaigns against police violence, the term appeared alongside a host of trending hashtags—#ICantBreathe, #IfTheyGunnedMeDown—and was thus flagged for white people who have never listened to a Badu album or joined the crowd at a rally," but wanted to show that they cared about the cause and were politically aware. "Defanged of its political connotations," Hess wrote, "'stay woke' [became] the new 'plugged in.'" A similar thing is happening to petty, and one way to see this is to look at the most recent batch of petty memes: those concerning Petty Joe Biden. In these images, Biden plots physical pranks to play on President-Elect Trump, and, Charity Hudley explains, "the act of being 'petty' becomes more about the petty action than a petty existence." In other words, when the word petty passes back into white lexicon from Black Twitter, the word transforms from state of being back to run-of-the mill activity again. "Biden's resting face is not that petty," says Hudley. "It's the circumstance attached to the photo that is petty. Compared to Beyoncé, where the evidence of pettiness is there in her gesture, her persona." Yet even if the true essence of the new petty isn't getting translated across cultural lines, something is. For both Biden and Beyoncé, there is power in being petty in the face of a threat: "[Pettiness] can also have a sense of restrained joy," Hudley explains, "and I think that's where these Joe Biden [memes] come in." It's unsurprising, then, with petty memes being as relatable and as entertaining as they are, that pettiness has transformed into something to "aspire to be," or something to applaud. Internet linguist Gretchen McCulloch, whose book about internet language will be published by Riverhead this year, explains why petty memes have spread so quickly, and so widely. McCulloch compares the proliferation of petty memes to those of an earlier meme subgenre now referred to as "dank memes." (In case you've already forgotten some dank memes, think doge, Condescending Wonka, or NO. rage face.) "Dank memes," McCulloch says, "require a basic understanding of internet meme-dom. But petty memes don't. Take the Joe Biden meme, for example—that's something you can understand with a bit of knowledge of what Joe Biden has become in the pop-culture sense, but it doesn't require the knowledge of, say, all the different rage face comics." Moreover, we're living in petty times. Trump more or less won this election through his brash, tell-it-like-it-is, and often petty rhetoric. When Kim Kardashian quietly posted a recording of Kanye West's phone conversation with Taylor Swift, revealing what the latter did and didn't know about her part in "Famous" before it was released, it was headline news, and Kardashian was framed as some sort of hero for outing some truth about the polarizing pop star. The act of being petty has even been embraced as a form of protest, or dissent. In February 2016, British artist Anish Kapoor signed a deal that gave him the exclusive rights to "Vantablack," the world's blackest paint. Later that year, another contemporary artist, Stuart Semple, created the world's pinkest pink and banned Kapoor—and only Kapoor—from ever using it. Petty Joe Biden is proof that petty has already begun to define circumstances past "making something insignificant into something bigger," like its Urban Dictionary definition says. Often, it gets stretched so far that it's unclear what the word even means. Nefarious intent? A pun so good it counts as revenge? "Memes, like emojis, provide us with a way of conveying the paralinguistic cues that are on top of the literal [words] being said—the stuff like gestures, body language, tone of voice, and facial expressions that also contributes to meaning," McCulloch explains. One of the most interesting things about the way language spreads across the internet is the way certain buzzwords are never officially defined in their new meme-sense; instead, they take on a gradient of related definitions. Rather than getting context clues from other words in a paragraph or a sentence to help us define a new word, online we often use images as our context clues. While petty has not strayed so far from its Oxford definition yet, it's very possible that the word "might not mean the same thing in five months," Charity Hudley muses. The future of the word is dependent on where the memes go—and whose face petty will attach itself to next.